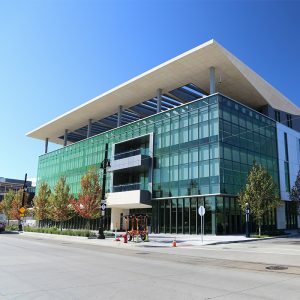 Mike Ilitch School of Business at WSU – Testing Engineers & Consultants, inc.
TEC was retained to provide construction materials testing services for the new construction of the Mike Ilitch School of Business at Wayne State University. The new four-story building is approximately 120,000 square feet and includes a rooftop terrace for students and faculty to enjoy. The school is just two blocks from the Little Caesars Arena and less than a mile from the Little Caesars Global Resource Center. The scope of TEC’s work included testing and inspection of cast-in-place concrete, precast concrete masonry, fire proofing, structural steel, roofing, and building envelope.